One of the perks of academia is the thrill of presenting results, thoughts and ideas at international conferences. 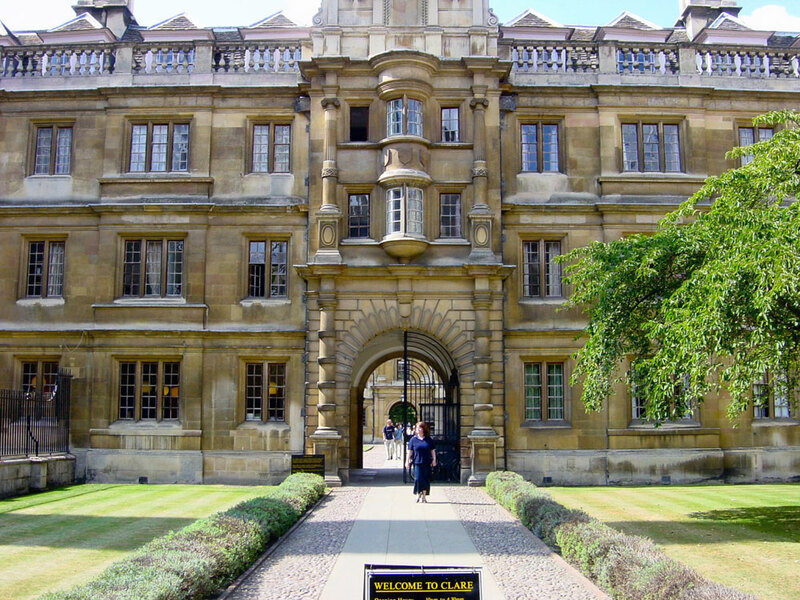 Although the best meetings often fall at the busiest moment in the teaching semester and the travel can be tiring, there is no doubt that interacting directly with one’s peers is a huge shot in the arm for any researcher – not to mention the opportunity to travel to interesting locations and experience different cultures. The view from my hotel in San Sebastian this morning. 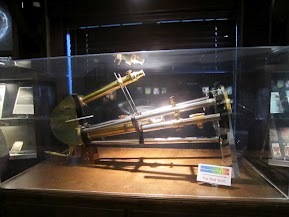 This week, I travelled to San Sebastian in Spain to attend the Third International Conference on the History of Physics, the latest in a series of conferences that aim to foster dialogue between physicists with an interest in the history of their subject and professional historians of science. I think it’s fair to say the conference was a great success, with lots of interesting talks on a diverse range of topics. It didn’t hurt that the meeting took place in the Palacio Mirimar, a beautiful building in a fantastic location. The Palacio Mirimar in San Sebastian. The conference programme can be found here. I didn’t get to all the talks due to parallel timetabling, but three major highlights for me were ‘Structure or Agent? Max Planck and the Birth of Quantum Theory’ by Massimiliano Badino of the University of Verona, ‘The Principle of Plenitude as a Guiding Theme in Modern Physics’ by Helge Kragh of the University of Copenhagen, and ‘Rutherford’s Favourite Radiochemist: Bertram Borden’ by Edward Davis of the University of Cambridge. My own presentation was titled ‘The Dawning of Cosmology – Internal vs External Histories’ (the slides are here). 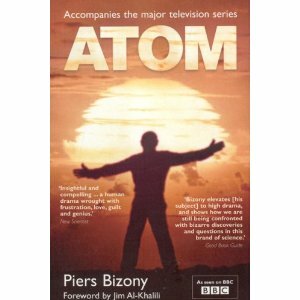 In it, I considered the story of the emergence of the ‘big bang’ theory of the universe from two different viewpoints, the professional physicist vs. the science historian. (The former approach is sometimes termed ‘internal history’ as scientists tend to tell the story of scientific discovery as an interplay of theory and experiment within the confines of science. The latter approach is termed ‘external’ because the professional historian will consider external societal factors such the prestige of researchers and their institutions and the relevance of national or international contexts). Nowadays, it is generally accepted that both internal and external factors usually often a role in a given scientific advance, a process that has been termed the co-production of scientific knowledge. 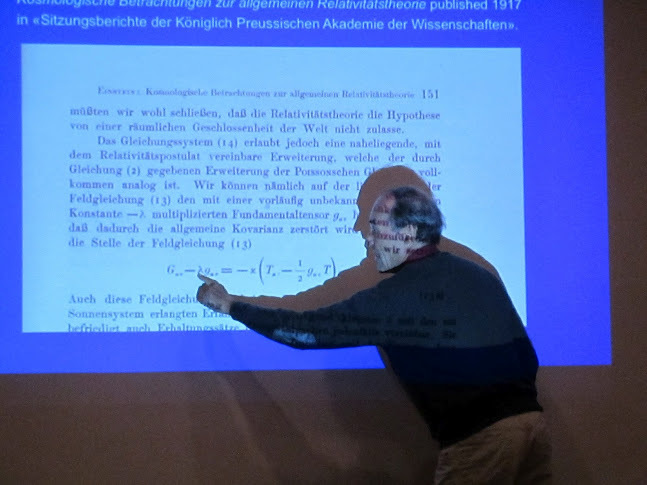 As it was a short talk, I focused on three key stages in the development of the big bang model; the first (static) models of the cosmos that arose from relativity, the switch to expanding cosmologies in the 1930s, and finally the transition (much more gradual) to the idea of a universe that was once small, dense and hot. In preparing the paper, I found that the first stage was driven almost entirely by theoretical considerations (namely, Einstein’s wish to test his newly-minted general theory of relativity by applying it to the universe as a whole), with little evidence of co-production. Similarly, I found that the switch to expanding cosmologies was driven by almost entirely by developments in astronomy (namely, Hubble’s observations of the recession of the galaxies). Finally, I found the long rejection of Lemaître’s ‘fireworks’ universe was driven by obvious theoretical problems associated with the model (such as the problem of the singularity and the age paradox), while the eventual acceptance of the model was driven by major astronomical advances such as the discovery of the cosmic microwave background. Overall, my conclusion was that one could give a reasonably coherent account of the early development of modern cosmology in terms of the traditional narrative of an interplay of theory and experiment, with little evidence that social considerations played an important role in this particular story. As I once heard the noted historian Hasok Chang remark in a seminar, ‘Sometimes science is the context’. Can one draw any general conclusions from this little study? I think it would be interesting to investigate the matter further. One possibility is that social considerations become more important ‘as a field becomes a field’, i.e., as a new area of physics coalesces into its own distinct field, with specialized journals, postgraduate positions and undergraduate courses etc. Could it be that the traditional narrative works surprisingly well when considering the dawning of a field because the co-production effect is less pronounced then? Certainly, I have also found it hard to discern any major societal influence in the dawning of other theories such as special relativity or general relativity. As a coda, I discussed a pet theme of mine; that the co-productive nature of scientific discovery presents a special problem for the science historian. After all, in order to weigh the relative impact of internal vs external considerations on a given scientific advance, one must presumably have a good understanding of each. But it takes many years of specialist training to attempt to place a scientific advance in its true scientific context, an impossible ask for a historian trained in the humanities. Some science historians avoid this problem by ‘black-boxing’ the science and focusing on social context alone. However, this means the internal scientific aspects of the story are either ignored or repeated from secondary sources, rather than offering new insights from perusing primary materials. Besides, how can one decide whether a societal influence is significant or not without considering the science? For example, Paul Forman’s argument concerning the influence of contemporaneous German culture on the acceptance of the Uncertainty Principle in quantum theory is interesting, but pays little attention to physics; a physicist might point out that it quickly became clear to the quantum theorists (many of whom were not German) that the Uncertainty Principle arose inevitably from wave-particle duality in all three formulations of the theory (see Hendry on this for example). Indeed, now that it is accepted one needs to consider both internal and external factors in studying a given scientific advance, it’s not obvious to me what the professionalization of science history should look like, i.e., how the next generation of science historians should be trained. In the meantime, I think there is a good argument for the use of multi-disciplinary teams of collaborators in the study of the history of science. All in all, a very enjoyable conference. I wish there had been time to relax and have a swim in the bay, but I never got a moment. On the other hand, I managed to stock up on some free issues of my favourite publication in this area, the European Physical Journal (H). On the plane home, I had a great read of a seriously good EPJH article by S.M. Bilenky on the history of neutrino physics. Consider me inspired…. In an earlier post, I mentioned an upcoming conference in Arizona to celebrate the pioneering work of the American astronomer Vesto Slipher. As mentioned previously, 2012 marks the centenary of Slipher’s observation that light from the Andromeda nebula was Doppler shifted, a finding he interpreted as evidence of a radial velocity for the nebula. By 1917, he had established that the light from many of the distant nebulae is redshifted, i.e. shifted to lower frequency than normal. This was the first indication that the most distant objects in the sky are moving away at significant speed, and it was an important step on the way to the discovery of the expanding universe. The conference turned out to be very informative and enjoyable, with lots of interesting presentations from astronomers, historians and science writers. 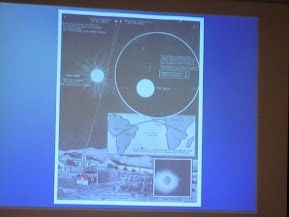 It’s hard to pick out particular talks from such a great lineup, but three highlights for me were Einstein, Eddington and the 1919 Eclipse Expedition by Peter Coles, Georges Lemaitre: A Personal Profile by John Farrell and Slipher’s redshifts as support for de Sitter’s universe? by Harry Nussbaumer. 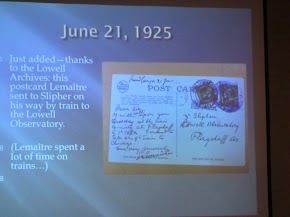 The latter compared the importance of the contributions of Slipher, Hubble, Einstein, De Sitter, Friedmann and Lemaitre (to mention but a few) and was a focal point for the conference. 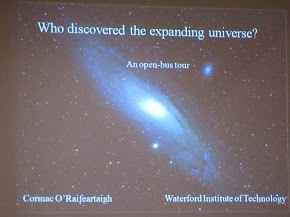 My own talk ‘Who discovered the expanding universe? – an open bus tour’ was quite similar to Harry’s , with some philosophy of science thrown in, while Micheal Way’s talk Dismantling Hubble’s Legacy? also touched on similar ground. However, there was little danger of overlap since viewpoints and conclusions drawn from the material varied quite widely! You can see the conference program here. The best aspect of the conference was the question and answer session after each talk. There was quite a divergence of opinion amongst the delegates concerning the relative importance of the various scientists in the story, which made for great discussions (though I suspect that much of the argument arises from differing views concerning the role of the theoretician vs the role of the experimentalist). You can see a list of speakers and abstracts for the talks here and the slides for my own talk are here. There was plenty of material here for the relativist; indeed, quite a bit of discussion concerned the relative contributions of Friedmann and Lemaitre (told you it was a good conference). 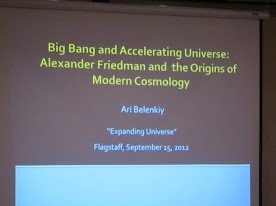 In particular, the Israeli mathematician Ari Belenkiy gave a defence of Friedmann’s work in his talk Alexander Friedmann and the Origin of Modern Cosmology, pointing out that the common assertion that Friedmann took no interest in practical matters is simply untrue, given his work in meteorology, and that the relevant astronomical data was not widely available to Europeans at the time. I must admit I share Ari’s view to some extent; I’m always somewhat in awe of a theoretician who describes all possible solutions to a problem (in this case the universe), as opposed to one solution that seems to chime with experiments of the day. 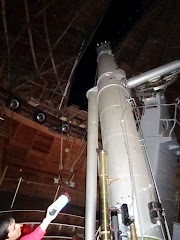 The conference also included a trip to the Lowell observatory, including a view of the spectrograph used by Slipher for his groundbreaking measurements and a peep through the famous 24-inch Clark telescope which remains in operation to this day. 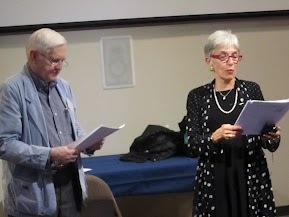 We were also treated to a few scenes from Dava Sobel’s upcoming play based on her book on Copernicus, read by Dava herself and the eminent Harvard science historian Owen Gingerich. All in all, a superb conference, definitely worth the long trip (Dublin-Chicago-Phoenix-Flagstaff). Earlier in the week, I gave a longer version of my talk at the BEYOND centre at Arizona State University in Phoenix; I was afraid some of the theoreticians in Larry Krauss’s group might find it a bit equation-free, but they seemed to enjoy it. 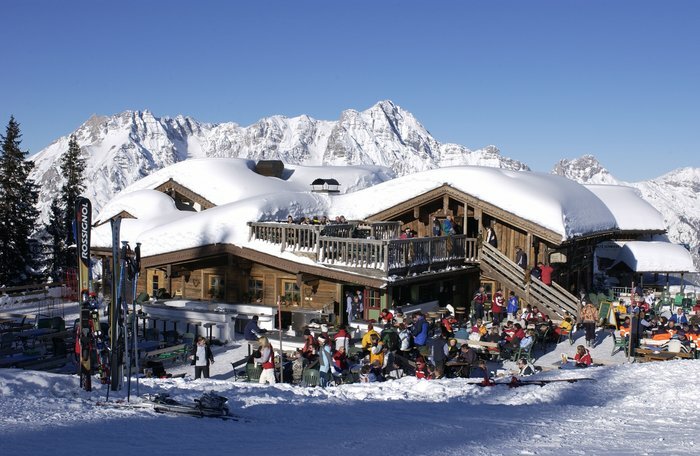 Larry and Paul Davies have a fantastic operation going on at the BEYOND centre, but I have to say the ambience and surroundings at Flagstaff are probably more suitable for a European – much nicer weather! Many thanks to Ari Belenkiy for the photographs. 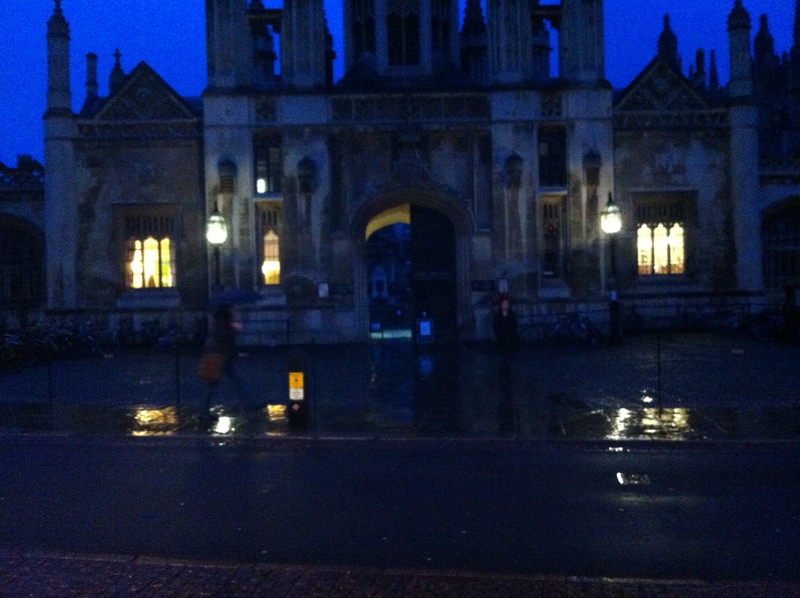 You can find more descriptions of the conference on John Farrell’s Forbes blog, and on Peter Coles’s In The Dark blog. I’m in Munich this weekend, at a physics conference in honour of my late father. 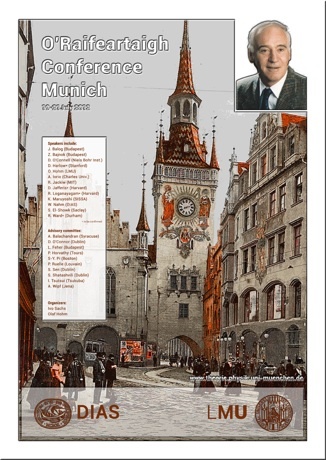 The 2012 O’Raifeartaigh Conference is taking place in Munich’s Ludwig Maximilians Universität (LMU) and there are speakers here from Harvard, MIT, Stanford, the University of Tokyo, the Niels Bohr Institute (DK), the Eugene Wigner Institute (HN) and the Dublin Institute for Advanced Studies. It sounds rather grand, but such memorial conferences are a good way for researchers who work in related fields to meet and present their latest work to each other. Many of the speakers worked with Dad at one stage or another and I think he would be very pleased to be remembered in this way. There are also some really sharp young scholars here and he would have liked that too. It’s the third memorial conference in Lochlainn’s memory, see here for the programme and other details. Munich itself is fantastic – the university is right in the middle of the city and the neighbourhood is full of bookshops, coffee-houses, museums and beer gardens. The teaching term is not yet finished in Germany so there are students everywhere (don’t tell Minister Quinn!). 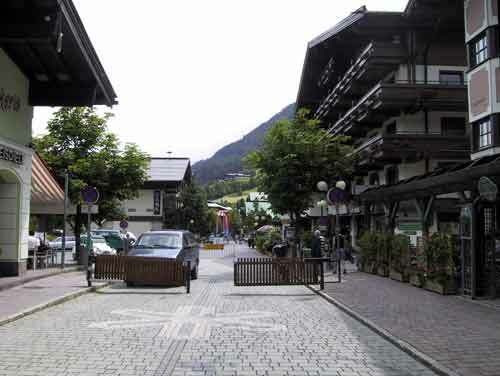 In fact, I have never seen so many bicycles and bookshops in one place. 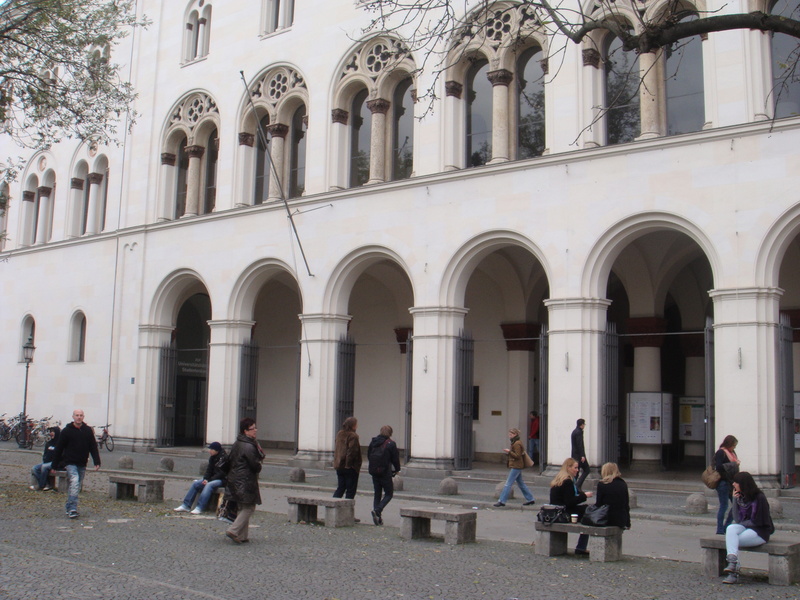 The conference talks are in the University’s Arnold –Sommerfeld Centre for Theoretical Physics and the building has a Museum for Modern Art on one side and a music conservatoire or Musik Hochshule down the block. I could get used to this. Lochlainn’s work concerned the use of mathematical symmetry methods to describe the physics of the elementary particles. 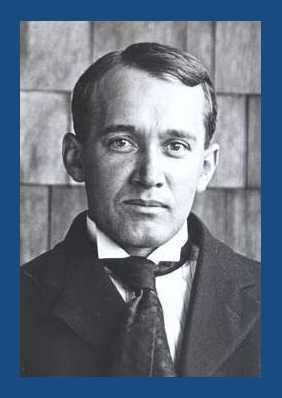 Throughout his career at the Dublin Institute for Advanced Studies, he was considered a leading expert in the field. He is probably best known for his contributions to a radical theory known as ‘supersymmetry’, a theory that is currently being tested at the Large Hadron Collider at CERN. You can read more on his career by clicking on the tab Lochlainn on the top of the page. There are some great talks here although some are are far beyond the comprehension of yours truly (an experimentalist). As always, I’m impressed by the style of presentation in theoretical physics; there are no polite powerpoint lectures here, but chalk-and-blackboard sessions with searching questions from the audience every few minutes. ‘‘Does that function even have a ground state?’, a speaker was asked within the first two minutes of his talk. ‘‘Well, it doesn’t in anti-deSitter space, but I hope to convince you that it does in deSitter space”, was the response. Answers to the frequent questions are tackled at the board until everyone in the room is satisfied. No-one gets away with anything here, from the youngest postdoc to the most eminent physicist. I think it’s a style of presentation that helps both lecturer and audience and I wish the humanities would adopt it – my pet hate is listening politely to a philosopher or historian for an hour before one gets to question a statement made in the first three minutes. I gave a short talk myself on Friday. This was a ‘life-in-science’ presentation where I used pictures of people and places that influenced Lochlainn during his career: from his early work on general relativity with JL Synge at the Dublin Institute for Advances Studies to his work on quantum field theory with Walter Heitler at the University of Zurich, from his use of group theory to prove his famous no-go theorem at Syracuse University in New York State to his work on the history of gauge theory at L’Institut des Hautes Etudes in Paris. I was worried I might have got some things wrong (e.g. “No, that work was completely incidental!’’), but thankfully it didn’t happen. In fact, I think the audience enjoyed the presentation as many of them had known the people and places mentioned at firsthand. You can find the photos and slides I used here. The conference is over today so Mum and I took an open bus tour of Munich. I find this a great way to get to know any city and it didn’t disappoint. 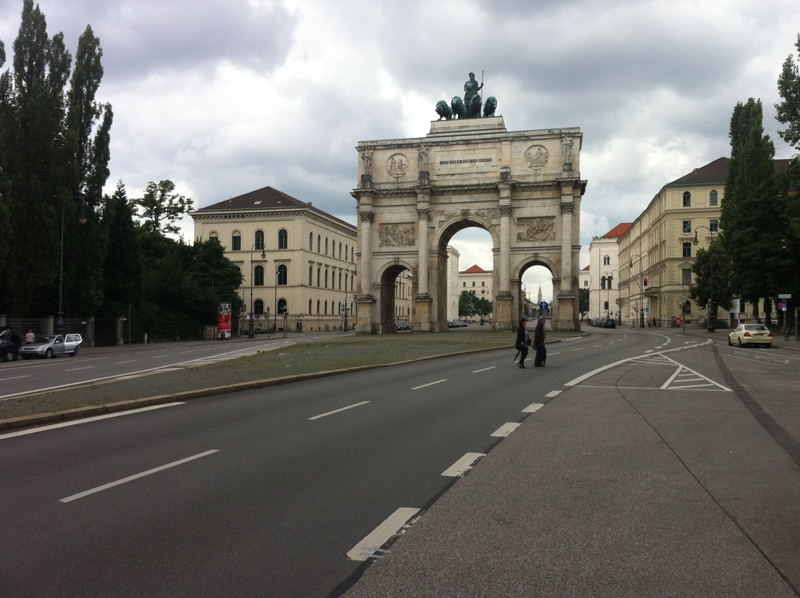 Munich may not be as large as Berlin or Hamburg, but it is the capital of Bavaria and is an extremely impressive city. I’m amazed by the huge number of parks, wide boulevards and splendid buildings – clearly, it was did not suffer as much as so many other German cities from bombing in the war. This is one of the great privileges of being an academic – you get to see the most interesting places, all in the line of work. 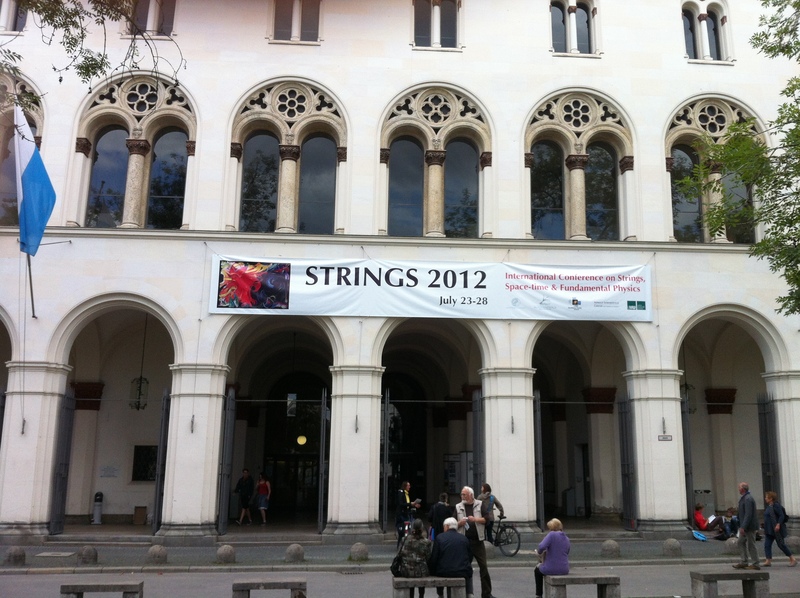 On the way back to the hotel, I was intrigued to see a huge banner draped over the main university entrance; the legend’ STRINGS 2012′ is leaving the whole city in no doubt that a major conference on string theory is about to take place here! Such a civilised country..
I’m still hoping to get back to Ireland for Christmas Day, but it’s now midday on Christmas Eve and I haven’t made it any further than Boston airport. 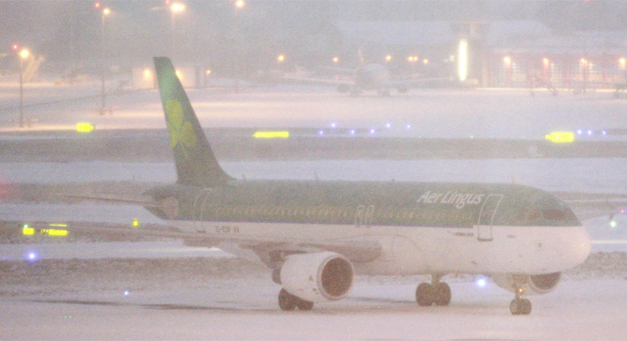 The problem is, as everybody knows, many European airports like Dublin and Heathrow are experiencing large snowfalls and feezing conditions this week, and simply can’t keep the runways clear; planes can’t get in or out which causing travel chaos. ‘What? 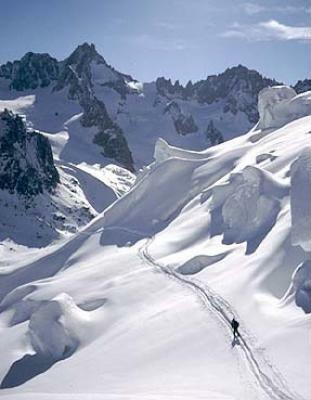 Snow in winter?’, you cry sarcastically. 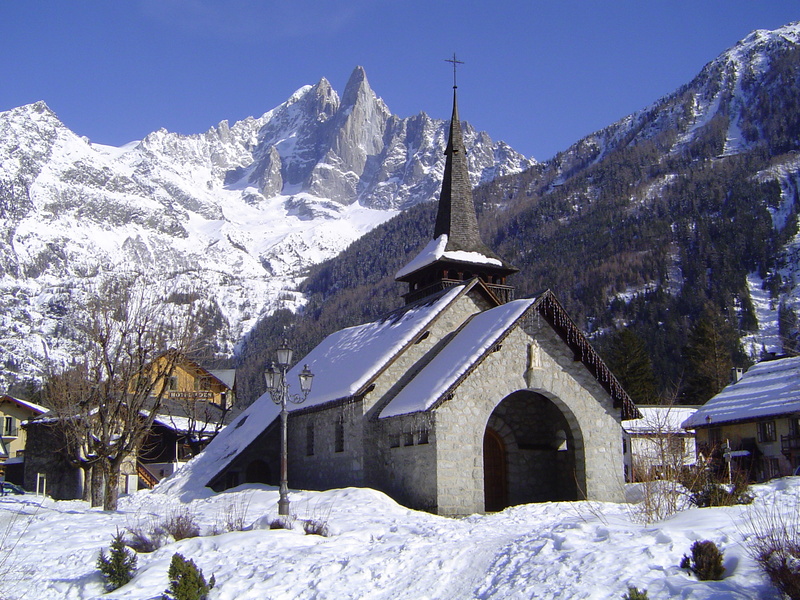 Yes, but heavy snow in December is relatively uncommon in countries like Ireland and the UK. Worse, it comes at a time of huge passenger volumes. Many airports simply can’t cope with the double whammy, with knockon effects for all air travel. 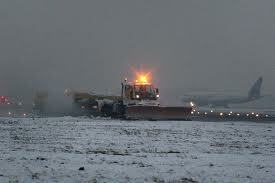 Delays at Heathrow, in particular, have caused chaos at airports around Europe and elsewhere. As for me, I’m happy enough. I like these in-between times, where one is neither working nor on holiday. A good time to think. Also, Logan airport is very nice, sensibly divided into small terminals (unlike Dublin airport). Of course, travel delays are relatively easy if you don’t have tired kids, financial worries, or have to sleep on the airport floor. Here in Boston, Aer Lingus passengers are being put up in the nearby Hilton while we wait for the next available flight; pretty decent, considering the airline can hardly be held responsible for the weather. Something to think about. Right now, it’d be nice to get home sometime soon.